This fact is very surprising, could you please provide your source for it? I’m interested to know what the ranking of countries is and their respective average floor areas. PS. I enjoy the blog. 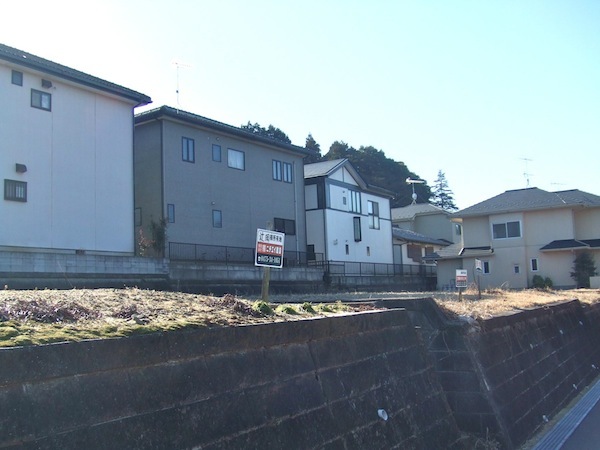 Doesn’t it all come down to the fact the homes in Japan are seen as machines for living in? They should be as new as possible, as full of mod-cons as possible and as efficient as possible. I have never really heard anyone missing their old home or expressing nostalgia for the home they grew up in. Old is bad, unfashionable and out-of-date. To moderise a home or build extensions as people in my homeland, Ireland, would do would be seen as a waste of money. Better tear down and start from scratch. The earthquake of 2011 brought this home to me very strongly. Nothing in Japan is meant to last a long time. The land itself is seen as having value (or used to be seen as such) and the house on top of it should use the land as efficiently as possible to provide as much space for living in. The walls, however flimsy, are really the outer walls of a castle and everything and everybody beyond can be ignored. Inside is uchi and outside is soto (literally as well as figuratively). So cheek-by-jowl use of land is accepted. I haven’t seen a definitive source, but I did see this report: http://www.guardian.co.uk/global/shortcuts/2012/may/16/architecture-housing recently which says “a 2007 Riba survey found the average floor space of a new dwelling in England and Wales was 76 sq m, against 81.5 sq m in Italy, 92 sq m in Japan and 115 sq m in Holland“. Not sure if that includes apartments as well, though. An unscientific anecdote, but I’ve been looking at a lot of new-build houses in Tokyo recently, and there’s not much below 85sqm available. I also recall someone telling me there’s some regulation – possibly local to the particular “ku”, which requires all new dwellings to have at least 80sqm.